The first person to contact if there is a problem or query is your club secretary, then your age-group registrar. The home manager must contact the opposition manager 5 clear days prior to a match and provide full details of ground, kit colours, kick-off time and the full name of the referee and also email your age-group registrar the refs name so that it can be put on to the Full Time website for that game. If the home manager has not made contact by the required time then contact him/her. If you are still struggling to make contact then contact the Club Secretary of the team concerned. Remember a box on the match sheet refers to teams complying with this rule. If the home team cannot provide a registered referee then the opposition must be informed and offered the opportunity to provide a registered referee. The away team should seek the full name of the proposed referee and check on the League website that the persons name is listed as a registered referee with the League. If there is a clash of colours the away team changes. The home team sets the kick-off time between 10 and 2pm . Earlier or later times than this must be with mutual agreement of both teams and the League. The home team should ensure that the referee is aware of Competition rules such as ball size and duration of the game for each age group. All referees must be offered payment and this should be done before the match. All League registered refs will have a League ID card. Check this. Any ref not showing his ID card must be challenged as to why not. A full list of League registered refs is on the League website. Teams should have a designated spectator area starting two metres from the pitch and run the full length of the pitch on both sides to stop spectators standing on the touchline. 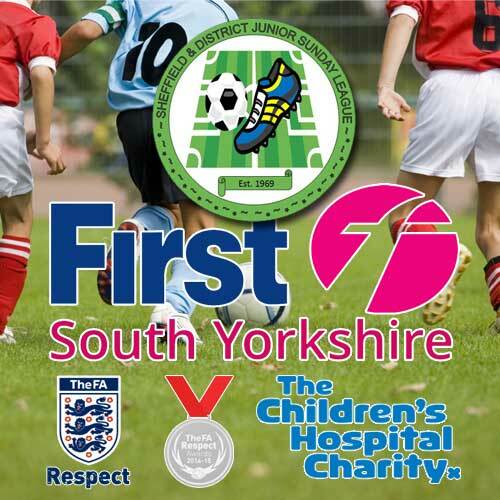 It is recommended that clubs use the FA Respect barriers but if they are not available then cones, an additional white line or rope, provided it is safe, are acceptable. This means that no-one should be watching from behind the goals. Technical areas for which up to 3 club officials to stand in must be setup. Everyone else, bar substitutes need to be behind the designated spectator area. The opposition player ID cards are then exchanged and inspected. We suggest this is done as the team’s line up for their Respect handshakes before the game. It is not the responsibility of the referee to check the ID cards, that job is down to each manager. As well as ID cards, League Handbook and First Aid Kit should be available. At the end of the match it is recommended that the participating teams offer handshakes to the opposing team and do “three cheers”. The home team must put the result on to the FA Full Time website. Note the away team can do this but if it is not done the home team will be fined.See Match Sheets Guide to Full Time for details of how to do this. The match report form must be completed on the Full Time website by midday on Thursday for a Sunday fixture. See Match Sheets Guide to Full Time for details of how to do this. Any low scores for respect or referees must also be submitted to the age-group registrar by midday on a Thursday for Sunday fixtures. ​The full name of the referee MUST be completed for every game. Each manager must seek out the name of the referee and their FAN number. Do this before the game and those details are on the League Referee ID card. We will not accept “A parent”, “Didn’t give his name”, “Dave” or anything other than the full name. If the “referee” used is a parent/non-qualified referee enter “not a qualified referee” in the referee number section. Teams not completing full referee details will be fined for non-compliance. We cannot have people refereeing in a children’s league and not know who they are. A match report form must be sent in for every match: league or cup, home or away.